A calorie is not a calorie. And here’s the reason why. Thanks very much for taking the trouble to expose the whole *a calorie is a calorie* myth. The best explanation I’ve seen so far! It is difficult to know where to start with this terribly misleading, non scientific analysis as presented. The first and most obvious criticism which nullifies the analysis immediately should be the fact that the 523 calories per day stored as fat would amount to a weight gain over a year of over 50kg (523*365/3500). This would make every woman consuming the eatwell diet morbidly obese with a year (that is most women). It is self evident that this is not the case. The second criticism is the assertion that only protein and fat can contribute energy for the basal metabolic rate of 1500 cals / day i.e. that needed to keep our organs alive. By this measure any fruitarian would be dead within a day. Again self evidently not true as I can only find very healthy fruitarians out there (e.g. http://www.smh.com.au/national/couple-run-365-marathons-in-a-year-20131230-302sf.html for more info). Further, stored carbs contribute as much to basal metabolic rate as do fat. Proteins less so given the energy overhead from conversion. Thirdly, the narrator omits to explain why the vast majority of Asia, which subsides on a diet where the majority of calories are derived from white rice with some vegetables is anything but fat and sick, apart from those parts of Asia that have adopted western style eating habits, and India in general which subsists on a diet loaded with saturated animal fat in the form of butter ghee. Finally, whilst I respect the fact that the author is for natural foods, and against processed foods (although we all need a treat once in a while), the overall message that I take from this is yet another vanilla variety of the paleo / mead and dairy apologist diets which give the illusion of weight loss in the very short term (removal of glycogen and associated water, paring back of gut bacteria), in the long term create significant health issues and are rarely maintained by anyone who starts them out due to the general lethargy and liver stress that the diet delivers. For this you can speak to my father who followed this diet for about 2 weeks before his kidneys and liver started failing. She actually addresses all of your concerns in different videos. She explains why the Okinawans are healthy because they eat complex carbs full of fiber, that actually help protect against glucose spikes. Eating more fats, like the Indians who load up in ghee, is actually better for the body than high carbs. As you can find examples of endurance athletes in high carbs, there’s a growing number of keto marathon runners, iron men and weight lifting. I had difficulty to understand why coloririch food makes us loose weight. Then, I think I found out the origin of the calori tables. They burn the food in a furnace and measure the energy in kcal, that is the heat production. (Am I right?) That has nothing to do with my metabolism. My body does not burn fat to ashes at 400 degrees. How come that dietists never understood this. The “go-to” energy source for metabolism, and particularly brain function, is glucose (glucose is the ONLY source of energy for the brain). We have to have it in our bloodstream to live, as diabetics well know. Glucose is a sugar – carbohydrate. The body stores glucose temporarily as glycogen, which is basically chains of glucose wrapped up in water molecules. Carbohydrates in the diet are quickly broken down by enzymes to form glycogen. Carbohydrate, in the form of blood glucose, are essential for basal metabolism, which is the opposite of what you say. Firstly I am a Clinical Nutritionist, and I am afraid to say you’re wrong and Zoe is right, Why? Glucose is not a nutrient, it is energy. Having said that, The brain and your muscles need Good Fats and Protein to replenish used body resources. Yes, the brain uses glucose, but fat produces double the calories per gram than carbs, and while glucose can be accessed very quickly by the muscles and the brain, Insulin will take excess blood glucose and dump it into fat cells. Fats also can be metabolised via the Krebs Cycle into glucose although the process takes a little longer to reach the blood stream and the quanity is created is less. As Zoe indicates, the 10% of Carbs in “Ms Nature” comes from nutrient dense foods which supply the body with what it needs while the naturally present sugars like glucose / Fructose / Lactose in foods provides almost instant energy for the brain and muscles etc. Also regarding Diabetics, why would you want to ingest a high glucose yielding diet as per the “Eat badly Plate”if you have a problem controlling and metabolising and utilising the glucose in the first place. Lets not forget that “Sugars” from high carb diets form the basis of most metabolic diseases from Obesity, Diabetes, and Cancers. Good Fat and Protein is not implicated in these diseases nor are fresh foods and vegetables. I meant to say Fats are metabolised in the liver also. I agree with everything you say here, but the initial comment would suggest that a human being cannot go without eating for a long period of time. Where would the carbohydrate come from to provide the small amount of glucose necessary for the brain? So you have a straight forward contradiction without going into the biochemistry. Although, a substantial amount of glucose necessary for brain function can be replaced by ketones, generated from fat metabolism, and may offer a metabolic advantage. I just ran a fasting experiment over the last three days, which indirectly illustrates how the body adapts in terms of variation in blood glucose and ketone level. Initially blood glucose was about 100mg/dl, ketones at about .1 mmolar. 24 hours later blood glucose had declined into the upper 60’s and ketones risen to 3.1. 36 hours later ketones spike to 5.1, blood glucose in the upper 50’s. 48 hours and glucose had fallen farther to upper 40.s and the ketones spike to 6.1. I feel light headed for about 3 hours after getting out of bed. It finally goes away by mid day. 72 hours later ketones fall to 4.9 mm, and blood glucose is back in the low 60’s. I feel great, probably could go the rest of the week without eating (no appetite), but the experiment is over. My interpretation of my little experiment is that it takes about 3 days for the big chemical factory, which is your body, to get the feed backs to supply the right amount of glucose (from protein and the glyceryl backbone of tryglycerides) plus blood serum ketones. Once this adjustment is complete you have the optimum glucose/ketone blood serum level, and it is all from fat because you are fasting. I will also note that if you compare the blood serum ketone concentration with the glucose concentration they are comparable in molar units. At 65 mg/dl glucose you have about 3.6 mmolar equivalent compared to the ketone level of 4.9 mmolar. This represents a huge change in the blood serum. Look at the metabolic theory of cancer (Thomas Seyfried). Could you answer a question, please? Let’s say your Ms Nature woman decides to eat an extra calories a day – all pure protein. Total 3000 calories. If as you say she won’t put on weight as it’s the carbs that does that, where does all extra / spare protein calories go? “Why can’t the basal metabolic rate be satisfied by body fat reserves” ? It will be, if you lay in bed and don’t eat you will start canabolising your body and loosing weight, from muscle wastage, and from using stored cellular fats converting them to usable glucos,then eventually you will die. In the evening i have a large glass of red wine and 1 small beer. I very rarely eat potatoes in any form, or bread. I eat no procesed foods what so ever, i never leave the table hungry,or get hungry between meals. I have been following the Zoe Harcombe diet, for 6 months,and i have lost 32lb. It does not feel like any type or diet to me, it is now my eating way of life. So you think shredded wheat and skimmed milk are not processed ‘foods’? Still, better than loads of bread and pasta with a smattering of meat. Look around and you will see the results of 40 year experiment in lower fat/higher carb diets, fatter and sicker. Keep up the good work Zoe. I have learnt so much from your books and am slimmer than I have been in years. After following so called conventional diets and always putting weight back on after it is great to be able to understand how to lose weight and keep it off. You make it all sound sensible. Thanks. How come that it never came into your mind to actually turn to fat and the protein totally down and lift up the carbs. For instance 86% min carbs 7%max fat and 7%max protein ? When you use those percentages, do you count gram to gram % ages or caloric nutrient ratio? In 100g food you got 30g fat and 70g carbs, that means you have 30% fat intake.NOT ! That it is already high, but this not how you should count, at all. 30g fat is 270calories from fat. 70g carb are 280 calories from carbs. 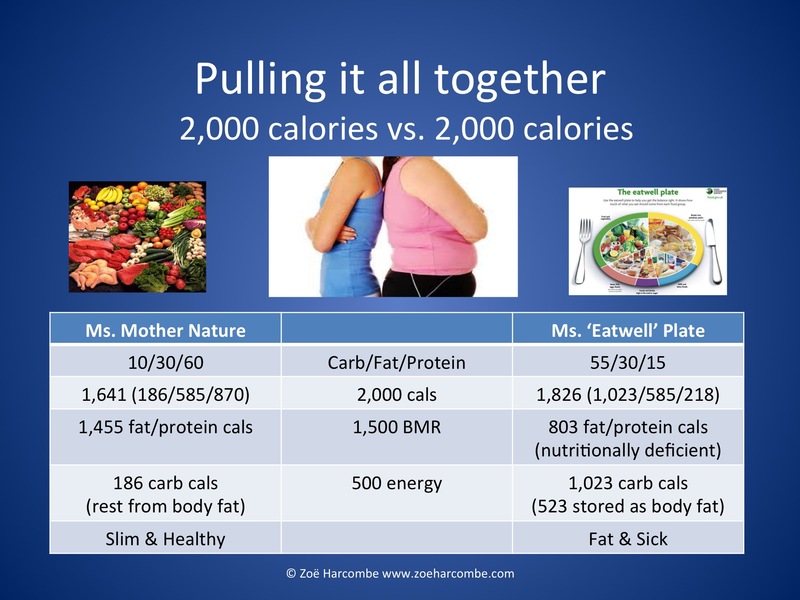 270 / (270+280) That is a massive 49% fat intake what is absolutely health destroying. What if we ate all of our calories, from ripe sugary fruits and would have maximum 4g of fat for each 100g of carbs ? Wow, that is the natural fat content of an average fruit ? That is interesting. Also, how come when sugar is eaten alone, or fruit alone, it is digested perfectly, with no bloating, no farting, no issues ever. I just finished a 15banana smoothie. However when eating a big stake, after you’ll be just having stomach cramps, and digestive noises all over the place, inside and outside the stomach. You also recommend a 2000kcal diet to a female ? What do you do during your day ? Lay in bed ? IF you want to do stuff in life, you gotta eat. 2500kcals at least for an average female, 50 to 55kg if sedentary, but a ton more if you got kids, garden, work, husband and passion for sg. Sometimes my wife is eating 5000kcals a day. She is lean as a kenyan, and she runs like one, but only once a week for 35min . Starvation diets recommended is not a way we should treat our women !!! Sorry but this video is a disaster, with no clue and long term results. Where are the 20 or 35 year results on this diet ? In 3minutes I can find you ton of vegans or frutarians who are lean as, consistently, in the last 20 or even 30 years. Positive results talk for themselves, especially over time. Consuming fruits and veggies will never be a fad or a fashion or a diet, it is a long term well working lifestyle choice. …and I could easily find you just as many vegans and vegetarians who are unhealthy, fat and struggling with weight and weight issues. Low fat and low calories just doesn’t work. 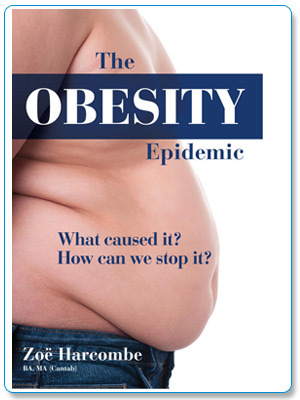 …..is by some measure the easiest way to develop insulin resistance and T2D. Nice one Levi! The metabolism of fats and proteins to produce glucose takes more effort by the body than a glucose metabolism from carbs, including processed foods where little energy is used to access the glucose. However, if you eat Salads and foods in their Raw state the body has to work harder to metabolise and break down the food expending more energy in the process. In fact, calories in verses calories out changes in values on whether we eat Processed food cooked on a stove and reduced to a mush, as against foods eaten Raw that the body has to work harder at to break down and digest. Therefore, eating raw increases the Calories out to Calories in value. Is that slide really technically correct? From what i know, in this scenario, carb intake would mean storage of dietary fat, not carbs themselves… Or am I missing something? Someone told me about this way of eating and I downloaded your book onto my kindle and started on Monday. I was 83.9 kg on Sunday & today weigh in at 81.5kg. I have struggled with my weight for years and have hit a wall with the menopause. Hopefully now I can kick the wall down, it is so easy to follow. It is very true about cravings going. I love a glass of wine in the evening but really haven’t had any problems not having one.